This error code indicates that the activation code of your prepaid card could not be recognised. Please check the following before contacting Customer Support. Are you using the right form? 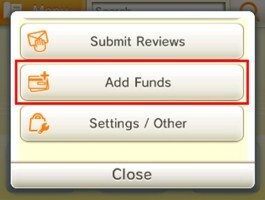 a) There are two places on Nintendo eShop where you can enter codes: one is for adding funds to your account with Nintendo eShop Cards (from the HOME Menu, select the Nintendo eShop icon > Menu > Add Funds), and the other is for download codes for software (Nintendo eShop icon > Menu > Redeem Download Code). Please make sure that you are entering the code in the correct place. 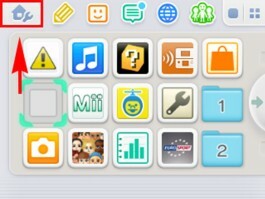 b) If you are trying to redeem a theme code, you need to enter your theme code at the Theme Shop, not in Nintendo eShop. To do this, select the HOME Menu Settings icon in the top-left corner of the HOME Menu, then select Change Theme > Theme Shop. 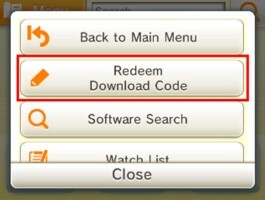 From there, select the menu icon in the top-right corner and touch Enter Download Code. These are frequently mistyped characters. Please make sure if you entered the 16-digit code correctly. Nintendo eShop Cards and cards for download codes have to be activated by the cashier of the retail store when you purchased the card. Please contact the retailer where you purchased the product in case the codes are not activated. Please note that Nintendo Customer Support cannot help you with activating prepaid cards. Scans/photos of the receipt from the purchased card and the back side of the prepaid card. Serial number of your Nintendo 3DS family system: depending on the system that you own, this may be on the back of the system, underneath the battery, on a sticker near the battery, or underneath one of the cover plates.